With less than two months to go before Britain is due to leave the European Union – and nobody any clearer about what that might entail – motorists planning to drive to France would be wise to plan for the possibility of a no-deal. From 28 March 2019, and in the event of a no-deal, the government is warning that British drivers may need an international driving permit (IDP) to drive in the EU and EEA. If you’re driving to the EU you’ll be required to hold an International Driving Permit. You can apply for this permit from larger Post Offices from 01 February. The permit costs £5.50. You will need to request a driving permit at least a month before your holiday. You will also be required to hold a green card which is proof that you have UK car insurance. A green card can be obtained from your insurance company. 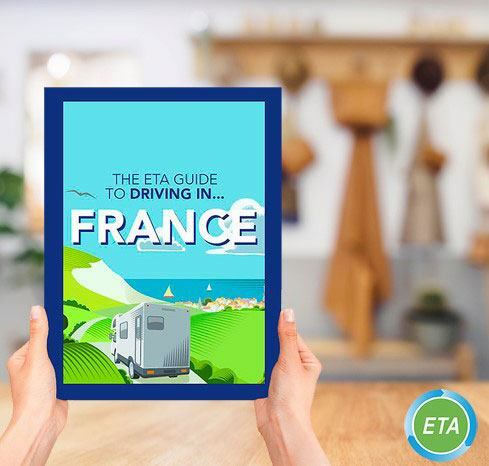 Our free Driving in France e-book is packed with information and advice on what to bring with you, the basic rules of the road, laws on speeding and fines, toll road information, advice for motorcyclists and much more. Don’t forget that for short-term driving trips in France and beyond, European breakdown cover from the ETA offers fantastic value. With English-speaking helplines and assistance available 24/7, you can rest assured that help is at hand should you break down abroad. Not only are we Britain’s most ethical insurance provider according to The Good Shopping Guide, but we campaign for sustainable transport. Sometimes that means protesting until a school gets the zebra crossing they’ve been refused or running 60 roadshows this year to encourage people out of their cars, or fixing bicycles for free. We also launched Green Transport Week and helped establish Car Free Day and Twenty’s Plenty to name just a few. We’ve been campaigning for sustainable transport in this way for 29 years with the help of people like you. Supporting this work is easy – you simply have to take out insurance with us. Home insurance, cycle insurance, travel insurance and breakdown cover and we take care of the rest. We provide an excellent level of cover while putting concern for the environment at the heart of all we do. Presumed Liability should be brought in speedily, as it will hopefully make drivers more aware of other vulnerable road users. I have a UK driving licence, but don’t own a car = no Green Card possible, so how can I get an IDP? I sometimes hire a car in the EU, using my UK/EU licence. Will this still be possible? Thanks for the passport check link. My passport expires at the end of August – I now know that I need to renew it before a trip I’m hoping to go on at the end of May. So by default passports only last 9.5 years, not 10 as in the past. Thanks ETA for this timely reminder that if it all goes pear-shaped we will need a relevant IDP and a Green Card. 1. My Car Insurers are not issuing Green Cards at the moment. I am asked to wait and keep checking their website. 2. The official list of Post Offices where you can apply for and get the IDP is not accurate. More have been added, anticipating the demand I suppose, but they are not on the Web Page when you type in your postcode. Phone your local P.O. before making a long trip to the listed one. I was set to do a 20 mile round trip but found my local P.O. (one and a half miles away) could issue them. 3. HOWEVER, you cannot apply for one more than 3 months before you depart!!?? So a wasted journey. How is anyone supposed to know that and why this restriction is in place escapes me? Ho-hum . . . . . . I went to the post office, and they produced IDP for France on the spot. They just hand-copied the contents of my UK driving licence onto an antique-looking IDP paper form (looks like it was printed in 1968 or around), added the photo and some stamps, and charged £5.50. All done in less than 10 min. IDP simply states it expires on the same date as my driving licence and is valid from the date of issue – I am not sure where the comment about not being able to apply early came from?